Summary: “Remember the Alamo!” That rallying cry has been a part of Texas lore for generations. But who were the ragtag group of adventurers behind the famous slogan, and how did they end up barricaded in a fort against a Mexican army? Who survived, who died, and how? This sixth book in the bestselling Hazardous Tales series tracks the Lone Star State’s bloody fight for independence from the Mexican government. It features the exploits of the notorious Jim Bowie, as well as Stephen Austin, Davy Crockett, and other settlers and soldiers who made the wild frontier of Texas their home—all told with the inimitable style and humor for which Nathan Hale is known. For Alamo All-Stars, opportunities to have discussions and complete activities across different content areas are shared. In the “Fun Across the Curriculum” section, these activities and discussion questions are split into subject areas and are written as if they are being asked of a student. 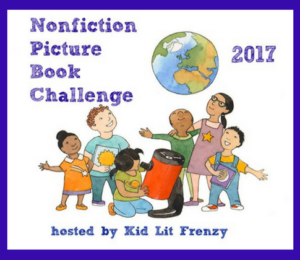 At the end of the guide, Common Core State Standards and Next Generation Science Standards are listed that can be met when the books are extended using the activities and discussion questions. The title page and the cover show two different illustrations of the Alamo. Compare and contrast the illustrations. Using information from the text, when is the cover illustration from, and when is the title page illustration from? 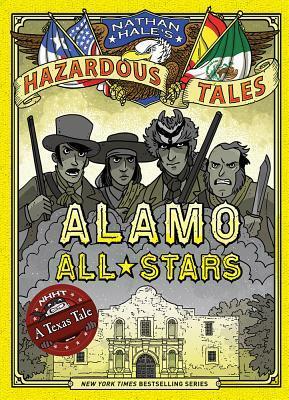 Why would Alamo All-Star need two narrators, Nathan Hale and Vincente Guerrero, while all of the other Hazardous Tales books only needed Hale? How would the story have differed if only Hale had narrated the book? What about only Guerrero? On page 10-11, Guerrero uses the metaphor of a set table to describe Texas in the 1820s. Why does he use this metaphor to describe the state of Texas at this time? On page 18, Hale uses another metaphor of an explosive barrel to illustrate the situation Austin and his settlers were in. How does an explosive barrel and Austin’s situation relate to each other? After researching cholera (science section), look at Hale’s personification of the disease on page 37. Why did he choose this creature to embody cholera? Many different events and problems caused Santa Anna’s army to be able to easily defeat the Texans at the Battle of the Alamo. Create a cause/effect graphic organizer showing the correlation between different events leading up to the Battle of the Alamo and the fall of the Alamo. Much of what happened at the Alamo during the infamous battle as well as stories about Davy Crockett and Jim Bowie have become an American legend. What is a legend? Why has some parts of the story of the Alamo become a legend and not a complete factual part of history? Throughout the book, Hale includes direct quotes from primary sources. How do these quotes enhance the story? How are primary sources more reliable when sharing historical events than secondary sources? The page of Texas on the end sheets shares the different battles during the Texas revolution. Using Alamo All-Stars, convert the map into a timeline by graphing each battle on the date/year they were fought. Using the text feature on pages 10-11 that shared the 1820s Texas settlers, answer the following: how did each settler threaten each other? Why was Texas such a treacherous place at this time? Who was the rightful settler of Texas? Then, split the class up into 8 groups and assign a group of settlers to each group of students. They then should research the group, and determine how they ended up in Texas, why they felt they deserved to stay in Texas, etc. Page 12 defines a filibuster and gives an example of one. What other famous filibusters have happened in history? Use the Wikipedia article “Filibuster (military)” and its resources to learn about other filibuster expeditions. Unlike the James Long Expedition, were any successful? Throughout the book, Mexico goes through different types of governments: a monarch (inferred from p. 16), a republic (mentioned on p. 17), and a despotic (mentioned on p. 40). Compare and contrast the similarities and differences of the different types of governments. Page 88 shows one of the many flags that have flown over Texas. Using the Texas State Historical Information article “Flags of Texas” and the Flags of the World website, learn about all of the different flags that Texas has flown. Why have so many flown over Texas? Where does the phrase “six flags of Texas” come from? On page 104, Santa Anna compares himself to Napoleon. How are the two men similar? How do they differ? On page 113, Hale jokes, “Don’t feel bad. Everyone forgets about Goliad.” Why do you think the Battle of the Alamo is remembered by so many while the massacre at Goliad is not? Why are Travis, Seguin, Bowie, and Crockett pictured on the front of Alamo All-Stars? Is this who you would consider the all-stars of the Alamo? If not, why not? If so, what did they do to deserve that title? Is there anyone else you would consider an Alamo all-star? Cholera killed tens of thousands in the summer of 1833 including Bowie’s wife and her family. What is cholera? How does it spread? Why did Bowie’s family try to travel north to escape it? On page 47, Noah Smithwick was quotes sharing that one member of the Gonzales army had a nose bleed; however, he used scientific terms such as nasal appendage and sanguinary fluid. What do these terms mean? On page 31, Rezin Bowie mentions that they were outnumbered 14 to 1 during the battle. Using the illustrations and clues in the “Jim Bowie and the Lost Mine” section to determine how many men were on Bowie’s side and how many men they fought and defeated. Santa Anna’s army outnumbered the Texans by a large amount. Using the information shared about the number of men in each side of the battle, determine an approximate ratio of the battle. After you estimate using Alamo All-Stars, research the actual number of men at the battle and determine the ratio. How close was your estimate? Which words were easier to define? Why were they easier? At the Battle of the Alamo, both Santa Anna’s army and the Texas army played music (p. 91). Research to determine what music was played at the battle. Why would they play music while preparing for a battle? These “tales” seem so well done. I grew up hearing about those heroes of the Alamo, so know this will interest me along with young readers looking for adventure. Thanks, Kellee. 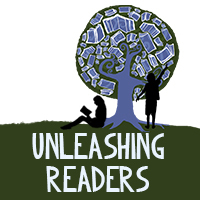 Wow, this is such a thorough guide, and it really just goes to show how versatile great nonfiction is, and how it can be explored in so many different ways. The teaching guide is rather impressive and comprehensive. It’s great that this series is enjoyable but the fact that it and the book in particular can be used across the curriculum is even more amazing. Thank you everyone! I love writing these guides! Your comments mean so much to me! I want there have been more video games offered for the Mac OS. have been definitely nice enjoyable!